Our Mill Systems division is dedicated to providing state-of-the-art turnkey inspection systems and services to tubular pipe mills. We specialize in commissioning, maintaining, and operating all necessary inspection equipment at our customer’s location as well as ensuring operations are fully staffed with highly trained and knowledgeable personnel. We provide 24/7 technical support services that have helped us achieve an operational up-time of 93.4% over a 4-year period. 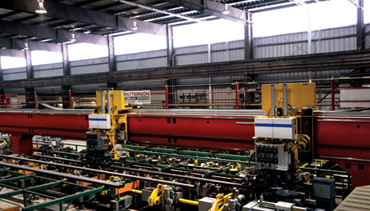 Tubular pipe mills will frequently chose to outsource the inspection of tubular goods to us for operational, certification, and auditing purposes. We tailor our inspection reports to specifically meet customer requirements, including optional Level II software integration with the automated inspection units.